(Nashville, Tennessee – August 24, 2018) Multi-talented singer, songwriter, author and accomplished award-winning record producer, John Carter Cash, has a lot to look forward to. He will be releasing the digital and physical CD versions of his new album We Must Believe in Magic on September 7, with the first IG track, “We Must Believe in Magic,” now available for pre-order, and the second, “Prayers for St. Regis,” available on August 31. Pre-order your copy here. The unique collection, released by Reviver Legacy and produced by Cash, features 17-tracks recorded over the last ten years and an astounding host of musical guests, including some of Nashville’s most recorded session players and artists representing Rock, Gospel and Country Music. Artists who appear on the project include: Tony Rice, Ana Cristina Cash, John Cowan, Ira Dean, Jerry Douglas, The Daeger Brothers, The Fisk Jubilee Singers, Eric Hamilton, Tony Harrell, Jamie Hartford, Robbie McCoury, Sarah Peasall McGuffey, Bob Moore, Charlie McCoy, Sam Bush, Dave Roe, and many others took part in the project. The project was engineered and mixed by Chuck Turner at Cash Cabin Studios in Hendersonville, Tennessee, where John Carter worked with his parents Johnny Cash and June Carter Cash on much of their latter life recordings. 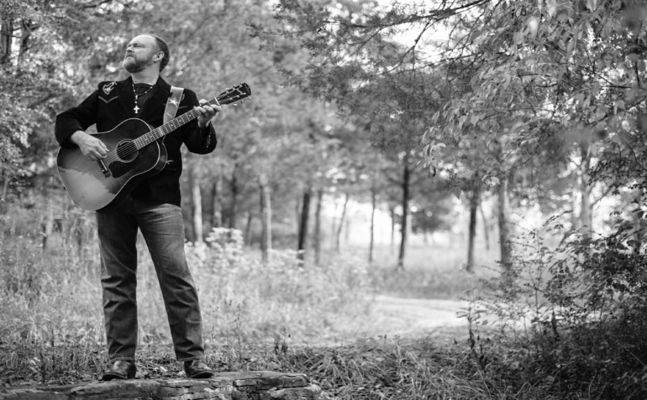 The release of the digital and physical CD versions of his album marks the first of many significant dates scheduled for John Carter Cash in September. Cash is set to perform at the Americana Music Festival taking place in Nashville, TN, September 11-16. Additionally, Cash will feature his new music during a showcase at City Winery in Nashville, TN, on September 14. More details here. Cash is also known for being an accomplished author. His library of work includes three children’s books and two biographies about his parents’ legacy. He is now adding another genre to his portfolio. 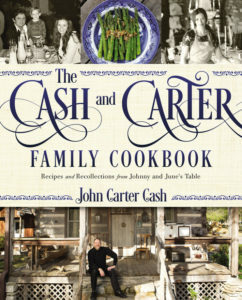 On September 25, Cash will release his first cookbook, The Cash and Carter Family Cookbook: Recipes and Recollections from Johnny and June’s Table. The cookbook is currently available for pre-order anywhere books are sold and shares the stories and recipes that flowed from Cash/Carter Family dinner table, as well as the memories and reminiscences of the musicians and film stars welcomed into their home. Pre-order your copy here. As the grandson of Maybelle Carter and the only son from the marriage of John R. Cash and June Carter Cash, he preserves the family legacy and is a caretaker to the heritage of his musical ancestors. 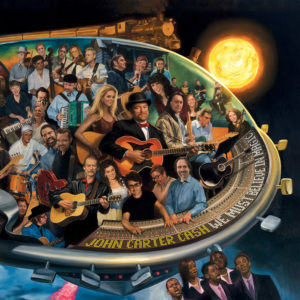 Having been a producer for over 25 years now, Cash has garnered six Grammy Awards, seven Grammy nominations, and has production credits that includes Alison Krauss and Union Station, Carlene Carter, Roseanne Cash, The Cedar Hill Refugees, Chris Cornell, Elvis Costello, John Cowan, Rodney Crowell, Sheryl Crow, Brooks & Dunn, Vince Gill, Emmylou Harris, George Jones, Kris Kristofferson, Loretta Lynn, John McEuen, Mighty Clouds of Joy, John Popper, Ruston Kelly, Kacey Musgraves, Willie Nelson, The Nitty Gritty Dirt Band, Tim O’Brien, John Prine, Earl and Randy Scruggs, Ralph Stanley, Josh Turner, Dr. Mavis Staples, The John Randal and Jessi Alexander, Wylie and the Wild West, to many more. For more information or forthcoming show dates, please visit www.johncartercash.com and follow him on Facebook.